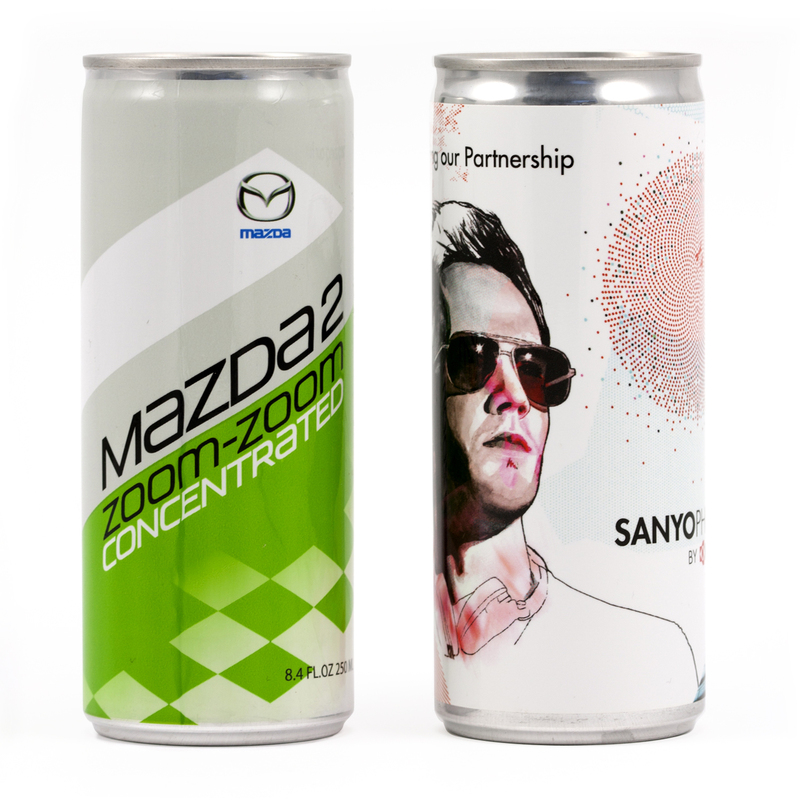 Personalized Energy Drink Custom Printed in Bulk or Blank. Promotional, Inexpensive. 8.4 oz. Budget Prices in the USA. 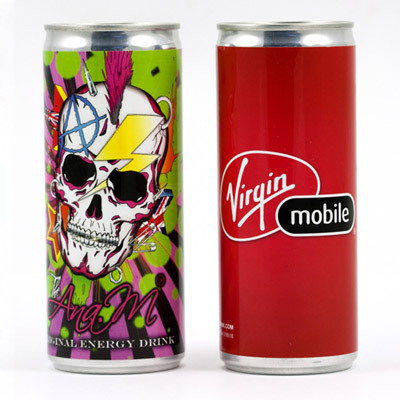 Wholesale advertising Energy Drink Cans on sale. Lowest cost in North America. We also supply blank (not personalized) Energy Drink Cans: see Price Table below. Free Artwork Design. American Clients pay no taxes. PRODUCTION TIME: 5 working days after art approval; Rush production of 1-2 days is available: contact us. Blank (not personalized) Energy Drink Cans ship next day. Boost your energy and sales with this sugar free 5-hour energy shot! This custom-friendly 2 oz. shot is mixed in with a berry flavor to create a tasty drink. Provide a memorable that will pep up your clients, increase stamina and adrenaline, with your own custom full color process energy drink. This drink is made in America and FDA approved for all of your unique promotions! Approx. Dimensions: 8.4 FL.OZ / Diameter 2" / Height 5.16"
Packaging: 24 units per case.